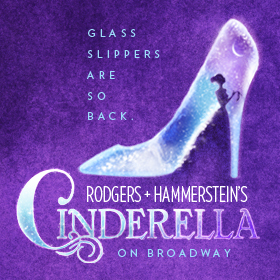 The company of RODGERS + HAMMERSTEIN’S CINDERELLA will enter the studio on March 18 to preserve the Original Broadway Cast Recording for Ghostlight Records. The Broadway premiere of the beloved romantic musical – currently running at the Broadway Theater – has been hailed as “Resplendent with a radiant score” by the Wall Street Journal, “Pure Magic” by the Associated Press and “A full-on romantic fantasy” by the New York Post. RODGERS + HAMMERSTEIN’S CINDERELLA has music by Richard Rodgers, lyrics by Oscar Hammerstein II, a new book by Douglas Carter Beane and original book by Oscar Hammerstein II. The musical is directed by Mark Brokaw. Josh Rhodes is choreographer. Music adaptation, supervision and arrangements are by David Chase. Andy Einhorn is music director and conductor. David Lai, David Caddick, David Chase and Bruce Pomahac are Producers of the album with Kurt Deutsch serving as Executive Producer. RODGERS + HAMMERSTEIN’S CINDERELLA is produced by Robyn Goodman, Jill Furman, Stephen Kocis, Edward Walson, Venetian Glass Productions, The Araca Group, Luigi Caiola & Rose Caiola, Roy Furman, Walt Grossman, Peter May/Sanford Robertson, Glass Slipper Productions LLC /Eric Schmidt, Ted Liebowitz/James Spry, Blanket Fort Productions and is produced in association with Center Theatre Group. Charles Salameno is associate producer. Leading the cast of RODGERS + HAMMERSTEIN’S CINDERELLA are Laura Osnes as Cinderella and Santino Fontana as the Prince, along with Tony winner Victoria Clark as the fairy godmother Marie, Tony winner Harriet Harris as Madame, Cinderella’s stepmother; Ann Harada as stepsister Charlotte; Marla Mindelle as stepsister Gabrielle; Peter Bartlett as Sebastian, Prince Topher’s mentor and Lord Chancellor, Greg Hildreth as the rebel Jean-Michel and Phumzile Sojola as Lord Pinkleton. Jill Abramovitz, Kristine Bendul, Drew Franklin, Heidi Giberson, Stephanie Gibson, Shonica Gooden, Kendal Hartse, Robert Hartwell, Laura Irion, Adam Jepsen, Andy Jones, Andy Mills, Linda Mugleston, Alessa Neeck, Peter Nelson, Nick Spangler, Kirstin Tucker, Cody Williams, Branch Woodman and Kevin Worley complete the cast. Along with the songs that fans of RODGERS + HAMMERSTEIN’S CINDERELLA know – “In My Own Little Corner,” “Impossible/It’s Possible,” “Ten Minutes Ago” and “Do I Love You Because You’re Beautiful?” – the recording will present some Rodgers and Hammerstein musical material that has never been recorded before, including “Me, Who Am I?,” “Now Is The Time,” and a song that appeared in the Whitney Houston version from 1997, “There’s Music In You”. The music has been adapted for the production by David Chase. Mr. Beane’s book for RODGERS + HAMMERSTEIN’S CINDERELLA offers a new romantic twist on the ultimate makeover story of a maid-turned-princess, mixing fresh comedy and wit with the beloved tale’s classic elements – the pumpkin, glass slipper, masked ball and more. RODGERS + HAMMERSTEIN’S CINDERELLA, one of their most popular titles, was written for television, debuting in 1957 starring Julie Andrews. 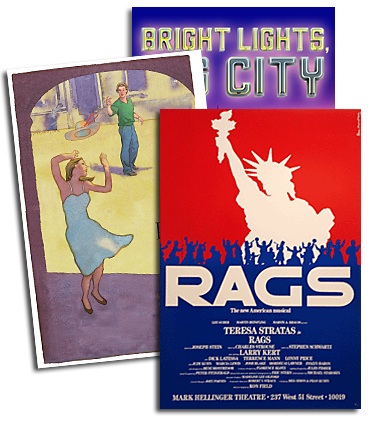 The musical has never been performed on Broadway, although stage adaptations have been performed worldwide since 1958. Along with CINDERELLA, Richard Rodgers and Oscar Hammerstein’s legendary musicals include Oklahoma!, Carousel, The King And I, South Pacific and The Sound of Music. RODGERS + HAMMERSTEIN’S CINDERELLA has production design by a team with numerous Tony Awards and nominations to their credit: Scenic Design by Anna Louizos (Tony nominee In The Heights, High Fidelity; also Avenue Q, Irving Berlin’s White Christmas); Costume Design by William Ivey Long (5-time Tony winner for Hairspray, The Producers, Grey Gardens, Crazy For You, Nine); Lighting Design by Kenneth Posner (Tony winner The Coast Of Utopia; also Wicked, Hairspray, Other Desert Cities); Sound Design by Nevin Steinberg (The Gershwins’ Porgy And Bess, La Boheme; Bengal Tiger At The Baghdad Zoo, Hair, In The Heights). Tickets to RODGERS + HAMMERSTEIN’S CINDERELLA are on sale through Telecharge and can be purchased by calling 212-239-6200, online at www.telecharge.com. Tickets are also on sale at the Broadway Theater (1681 Broadway at 53rd Street). PRE-ORDER RODGERS + HAMMERSTEIN'S CINDERELLA BROADWAY CAST ALBUM TODAY!